We are very excited to announce that on September 1, 2017, the Williams & Stazzone Insurance Agency has purchased the automobile industry operations from Cadence Insurance. As part of the transition, Dennis Webber and Mike Mitchell have joined the Williams & Stazzone team and will be heading up its new Texas branch. Williams & Stazzone, formed in 1989, is an industry leader providing insurance programs to the automobile industry. 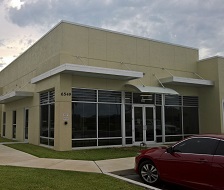 Their corporate office is located in Melbourne Florida and they have nine regional offices in Florida, Maryland, Missouri, New Jersey, New York, Pennsylvania, and Texas servicing customers across the entire country.